WOODLAND — After three decades as a high school football coach, Mike Woodward says he’s “worn down.’’ The 48-year-old Woodward resigned his position as head football coach at Woodland High School Friday. 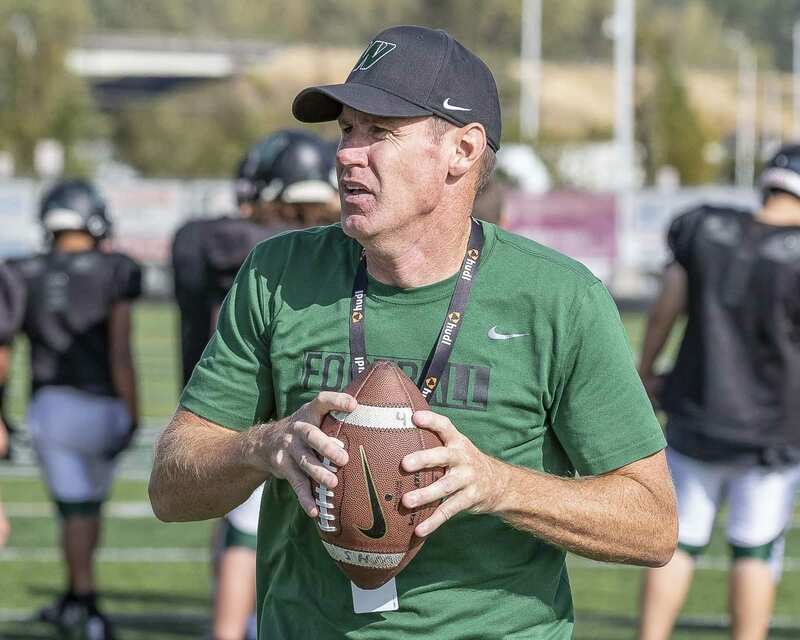 Woodward, a Battle Ground High School graduate, spent three seasons coaching the Beavers, including the 2018 season, during which Woodland posted an 8-2 overall record. Woodward started coaching in 1999 at Mountain View High School in Vancouver. He moved on to coach three seasons at Hudson’s Bay High School before moving to California in 2007, where he coached Westview High School for nine seasons. In his three years at Woodland, he had a combined record of 18-11. Woodward indicated that he cherished his time coaching the Beavers. Woodward couldn’t guarantee that he won’t coach again, but he said it feels like he’s done. “I would like to say I am retiring from coaching but I would hate to say that and be the guy back on the sidelines a few years later,’’ he wrote. “At this point in my life, I honestly can’t picture myself coaching again, but at the same time, who knows maybe I’ll end up an assistant coach or running a program years down the road. I won’t say I’m officially done till they bury me but it sure feels like I’ve coached my last one. Woodward expressed thanks for his interaction with the parents of his Woodland players. Woodward sounded like a coach and former player who was more than a tad weary from a long career with the sport of football. Woodward is at peace with the fact that the Woodland program will be ready to continue its success with a new coach.